The patch of land below the memorial was gifted by the British to the United States. A short drive from Windsor lies Runnymede meadow, famous as the location of the signing of the Magna Carta in 1215. That document, sealed by King John to end a revolt by the barons, is considered by some to be the foundation of modern liberty, as it started the process of restricting the powers of the monarchy. It’s a fitting location, perhaps, to commemorate one of the most iconic leaders of the “Land of Liberty,” John F. Kennedy. Following the assassination of the former President in 1963, the British government decided to commemorate his life with a monument. The sculpture itself is understated—a series of granite steps lead to a slab with an inscription—but more interesting than the physical monument is the land it is built upon. The acre was gifted to the United States federal government so that the memorial would stand on American soil. 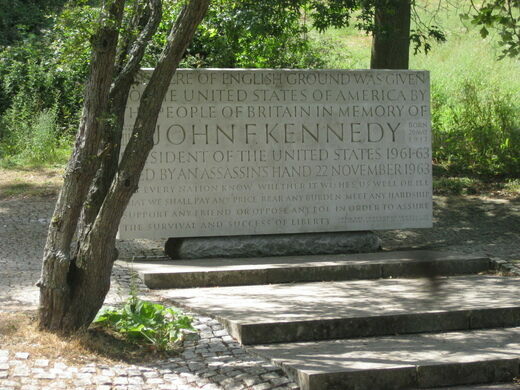 The U.S. connections do not end with the Kennedy memorial, as the American Bar Association paid for the impressive Magna Carta memorial which stands nearby. 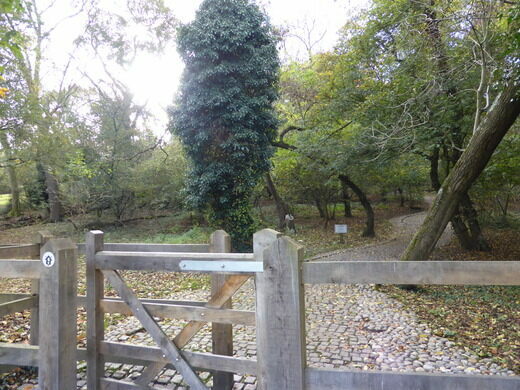 There is a car park operated by the National Trust nearby. Access to the monument requires crossing a field and climbing several granite steps, so it is not ideal to visit during rainy weather. One of the oldest trees in Britain may have been witness to some of the country's formative moments.